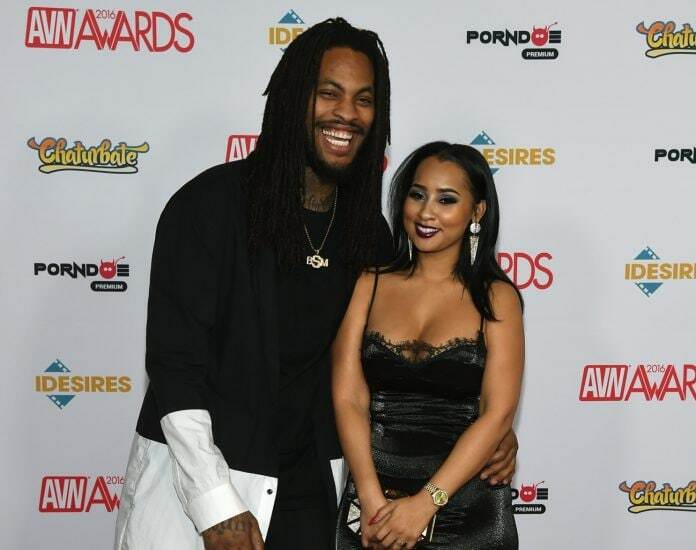 If they made it to five years, Waka Flocka and Tammy Rivera had promised they would renew their vows and have an extravagant beach wedding ceremony. Well, they did, and they did. On Saturday, the pair renewed their vows in Mexico, five years after they legally married without a ceremony in 2014, according to PEOPLE magazine. The rapper, 32, also gushed about falling in love with Rivera: “Eight years ago I remember chasing Tammy down, grabbing her by the arm. I had to keep her purse so she wouldn’t leave me, and I knew then that she would forever be mine,” he told the magazine. Rivera was dazzling in a 2018 Zuhair Murad dress, with her custom 5-carat diamond ring and 3-carat wedding band bling. Rivera and Waka took to social media to share photos of their wedding reception with their followers. Flocka posted a video of what appears to be Rivera’s daughter, Charlie, 13, dancing at the party, according to PEOPLE. This weekend marked a happy occasion that three years ago could have not happened. The couple separated in June of 2016 after Flocka’s infidelity but they eventually reconciled, sharing their relationship story on VH1’s Love & Hip Hop: Atlanta. They are also on the current season of WE tv’s Marriage Boot Camp: Hip Hop Edition.